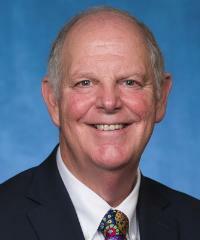 Tom O’Halleran has served in the US House of Representatives since 2017, representing Arizona’s 1st congressional district. He previously served in both chambers of the Arizona state legislature. O’Halleran supports permanent reauthorization of the Land and Water Conservation Fund, sage grouse conservation, and efforts to reduce methane emissions. He opposes the Trump Administration’s rollback of national monuments, as well as efforts to transfer public lands to state control. Rep. O’Halleran opposes Trump’s shrinking of national monuments. O’Halleran supports permanent reauthorization of the Land and Water Conservation Fund (LWCF). O’Halleran opposes federal land transfers, disposals, or sales that are not in the public interest. O’Halleran supports stricter rules on methane emissions. O’Halleran voted against overturning the methane rule. The House of Representatives passed a resolution that would repeal the Interior Department’s regulation promulgated by the Obama Administration that curbed methane emissions from oil and gas drilling operations on public lands. (Washington Post, 02/03/17).